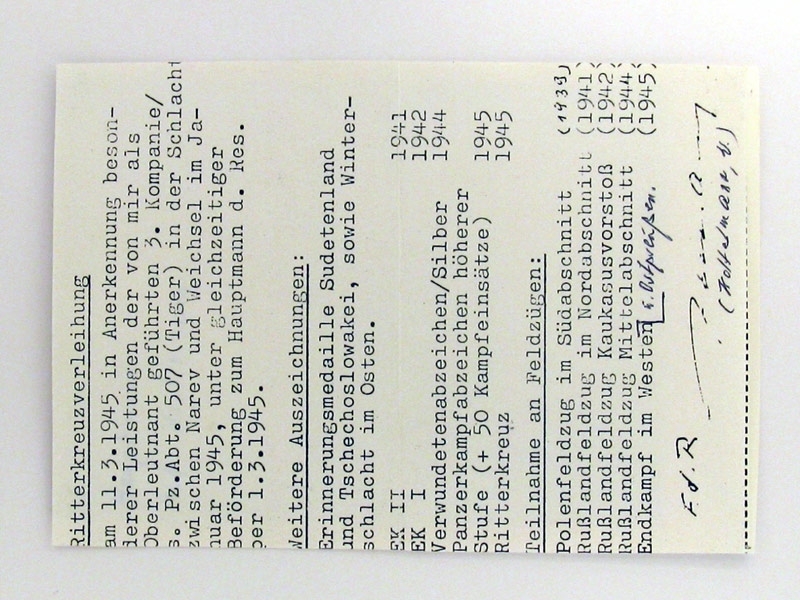 Signature on Post War Photo: Wolfgang Koltermann, Oblt., Chef 3./schw. Pz.Abt.507. 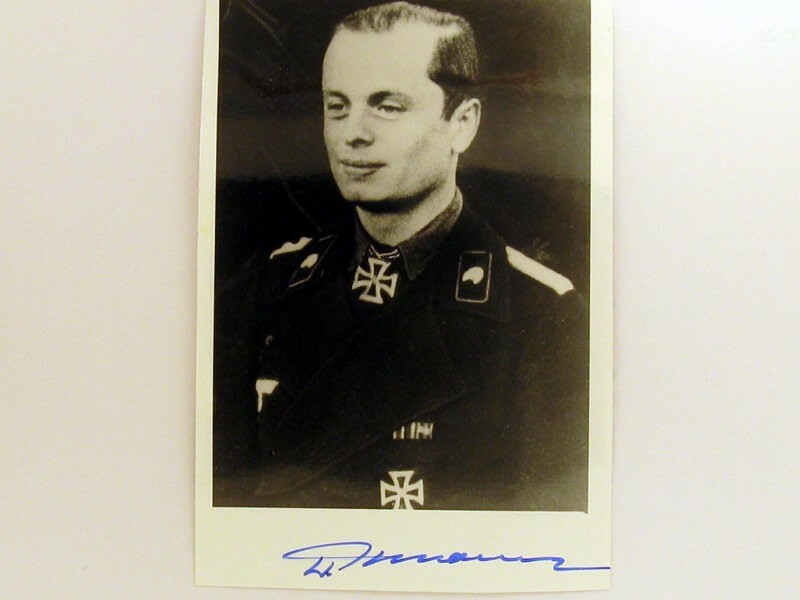 (Tiger tank Battalion, also awarded "50" tank badge).